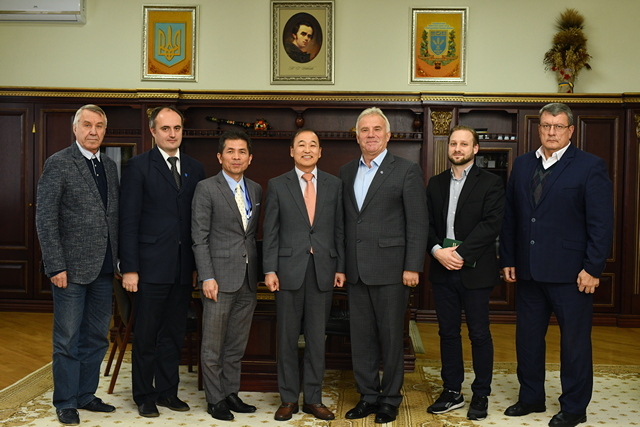 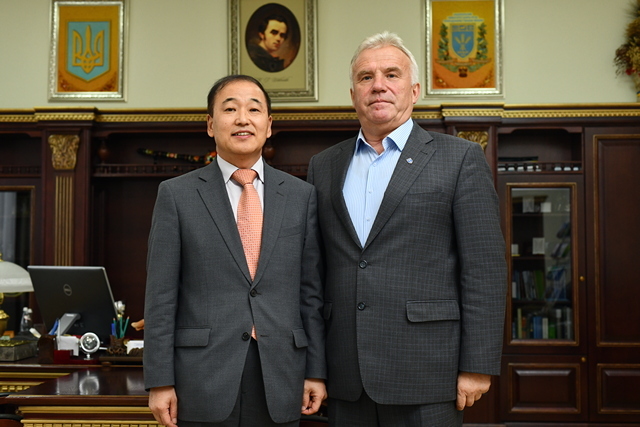 Li Yang-Gu, ambassador of the Republic of Korea, Shin Kiuho, consular, Serhii Lydohovskyi, a consultant in economic issues, visited National University of Life and Environmental Sciences of Ukraine. 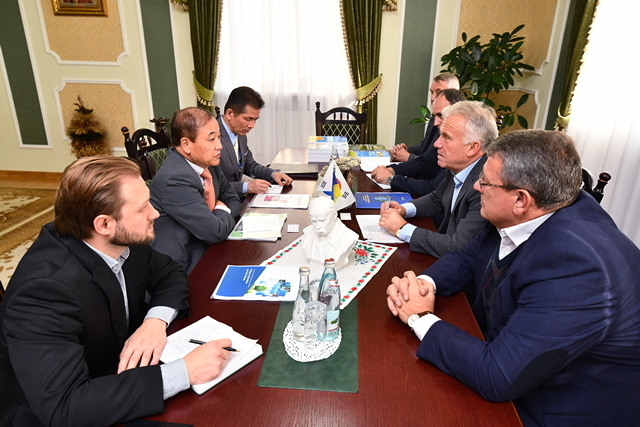 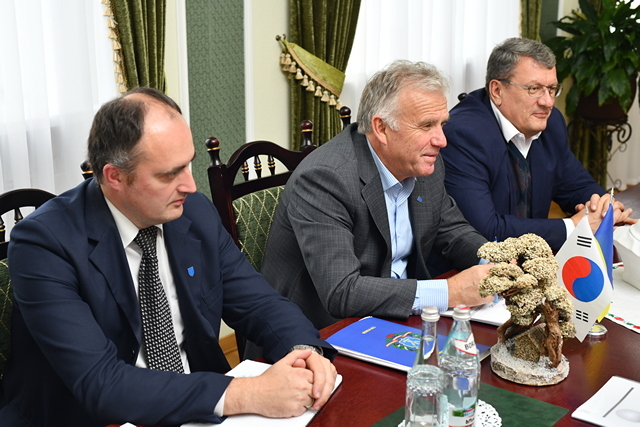 They had a two-party meeting with Stanislav Nikolaienko, rector of NUBiP of Ukraine, Vadym Tkachuk, vice-rector for scientific and pedagogical work, international activity, and development, and Leonid Chervinskyi, professor. 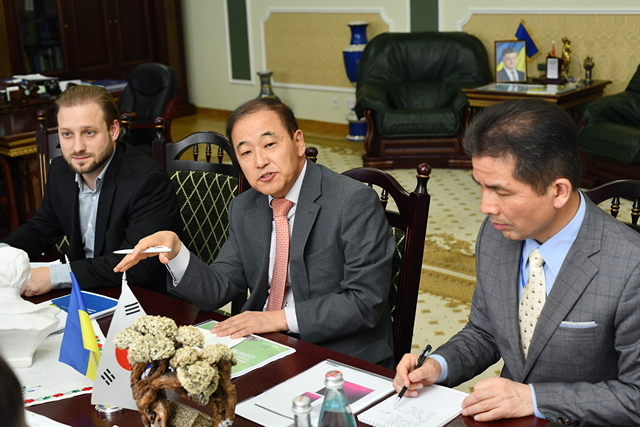 Parties discussed the vision of the cooperation with Korea. 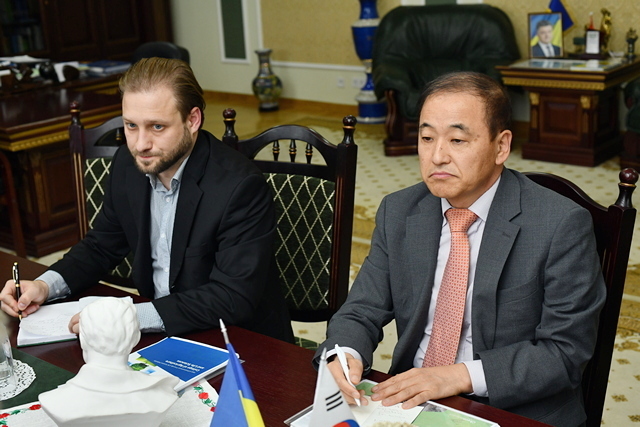 The issue of interest is the research of a model «smart-farming» by using LED lamps in green houses. 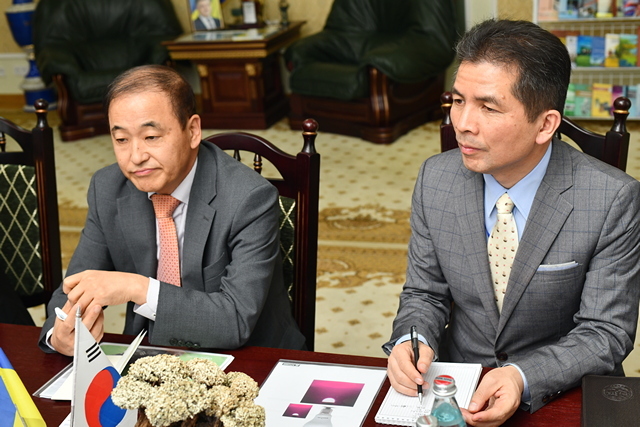 Parties agreed on some issues. 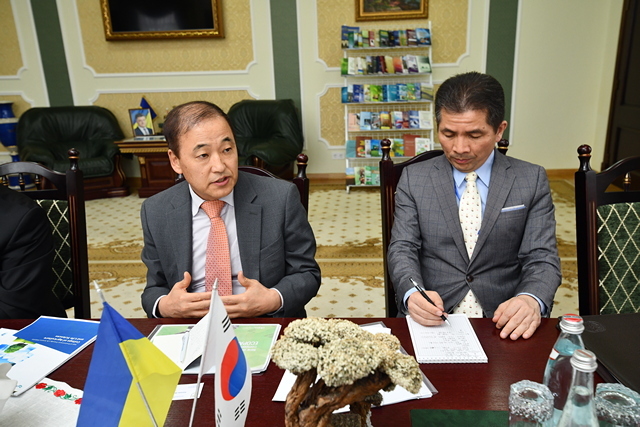 First, the visit of an agrarian department delegation of a Korean University is now confirmed. 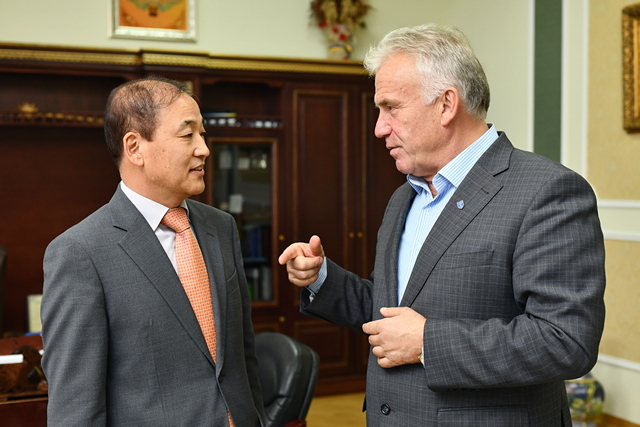 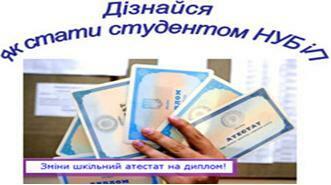 Second, a demonstration laboratory «smart farming» will be founded in our university.